Canadian Daily Deals: Samplesource Free Spring 2017 Sampler Packs are LIVE! Samplesource Free Spring 2017 Sampler Packs are LIVE! Samplesource Free Sampler Packs are live! Get free samples of makeup, beauty care, household cleaning, even food and snacks! Register, or login if you are already a member, pick your samples from a menu available that match your profile and Samplesource ships them to you absolutely free. What samples you get and how many depends on how you answer the survey questions. Quantities are limited. First ordered and confirmed, first served. Limit one package per address and email. Duplicate orders will be removed. If your order is confirmed as valid, your samples should arrive in 4-6 weeks. You can track your order by clicking Track Your Order. 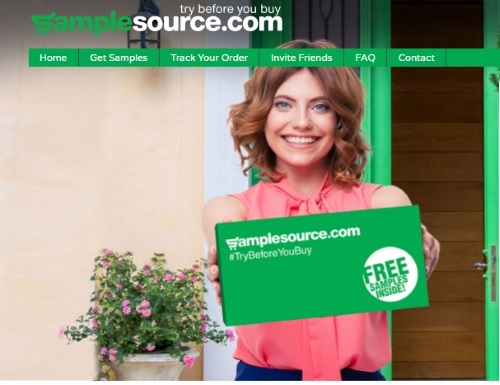 For questions about Samplesource, why sample amounts differ person to person, please visit our Samplesource FAQ post here. Click here to order your Free Sampler Pack.